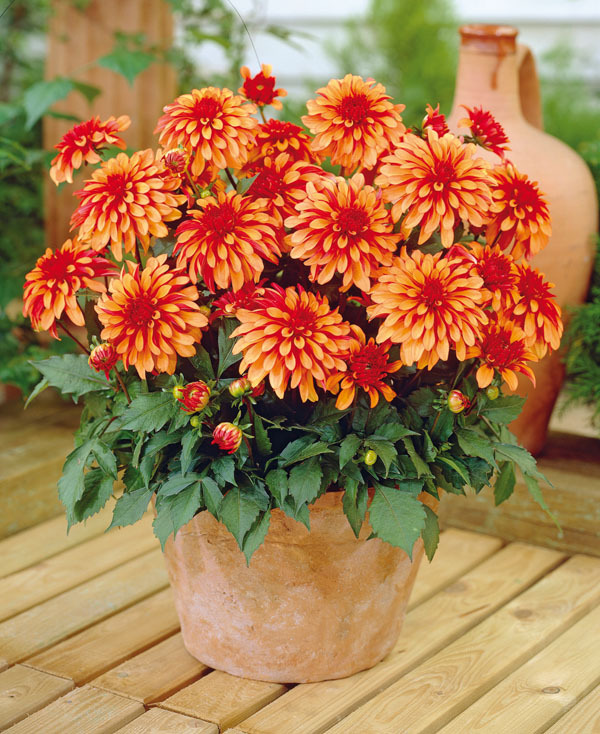 Art Deco Patio Dahlia is perhaps the tallest of the Gallery Series Dahlias, about 50 cm in height and ideal for controlled container gardening but do equally well in the border, The orange blooms of Art Deco are reminiscent of old time favourites like disbud Mums. The flowers are impressive alone but in groups, as occur on gallery series plants, they are outstanding. 1 clump/pkg.